In the October 15 edition of Mid-Month Report, it was noted that there may be activities in the final voting days of the session that could impact tavern owners. 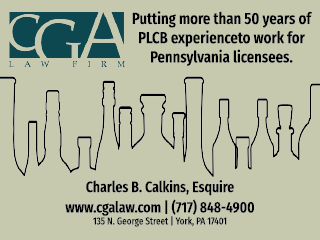 Specifically, the Pennsylvania Licensed Beverage and Tavern Association through its lobbying firm ERG Partners was closely monitoring HB 1497 and HB 864. Sure enough, in the days that followed that newsletter, those bills did see action. The following is an update. There was an attempt in the Senate to amend HB 1497 to give Pennsylvania breweries a tax advantage over all other liquor licenses. The Pennsylvania Licensed Beverage and Tavern Association joined efforts through a strong coalition with other licensees to defeat this movement. The language contained in a proposed amendment would have given breweries a special tax break by allowing them to charge sales tax on prices earlier and lower in the distribution process than any other retail licensee, putting breweries at a taxpayer-subsidized advantage over restaurants, taverns, grocery stores, clubs, convenience stores, and beer distributors. 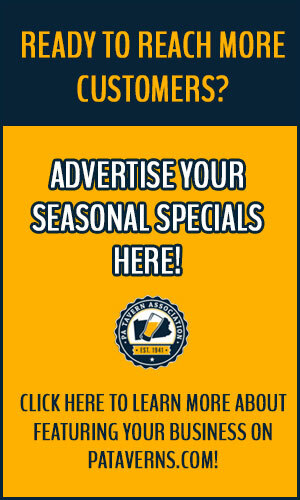 This amendment, which was not the subject of any vetting or public hearing, claimed to remedy a Department of Revenue Tax Bulletin, not scheduled to go into effect until July of 2019, which closed a theoretical loophole that brewers argue allows sales by breweries to be the only beer sales in Pennsylvania on which sales tax is never charged. This amendment, rather than making the sales tax structure uniform, would perpetuate breweries’ tax advantage over all other licensees making the new tax scheme not just unfair but also constitutionally suspect. The Pennsylvania Licensed Beverage and Tavern Association joined with eight other organizations in a coalition that urged State Senators to oppose giving special tax subsidies to breweries. In the end, the tax advantage was removed from the amendment, and HB 1497 did pass the Senate. The bill addresses issues with alcoholic ciders, mixed use town center development projects, and public venues, but does not give a tax advantage to Pennsylvania breweries. A part of the bill also allows slot machine licensees to apply for a casino liquor license and sets a $1 million price on that license. The bill now sits in the House Rules Committee, but may not get consideration before the General Assembly adjourns Nov 30. HB 864 addresses the Local Option Small Games of Chance Act. And, you may recall that this bill in the Spring was amended in the Senate with the help of Senator Rich Alloway to help tavern owners by allowing them to keep a greater amount of net revenue and also to pay fewer taxes on gaming supplies. That amendment passed in the Spring, but then the full bill was defeated the very next day. The bill came back to life in recent weeks, but the Senate voted to revert back to an earlier version without the Alloway amendments. 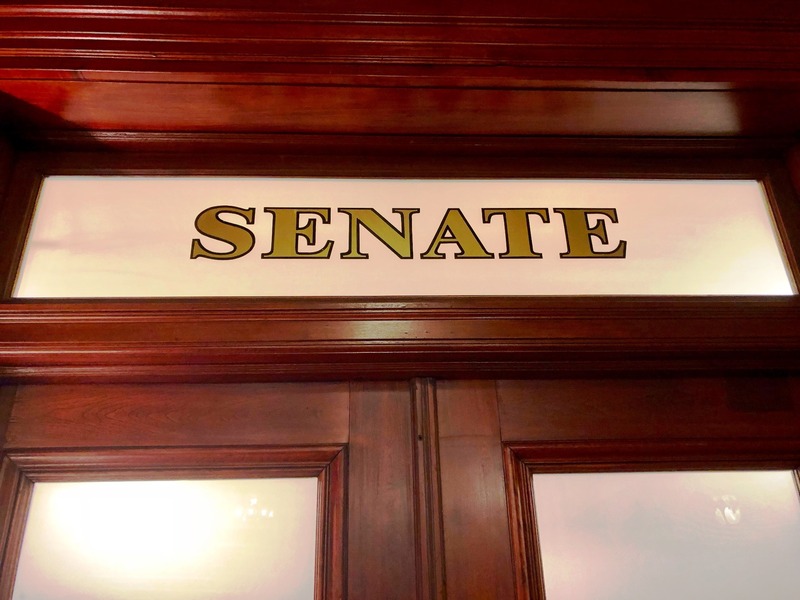 However, a final charge by the Pennsylvania Licensed Beverage and Tavern Association lobbying team and others encouraged friends in the Senate to address the business model issues that are a negative to those interested in small games of chance. On the floor of the Senate, two amendments were brought together, both helping taverns. An amendment from Senator Wayne Fontana put parts of the Alloway amendment back in play. And an amendment from Senator Lisa Boscola added “pools” as part of tavern gaming. The bill was amended on third consideration on October 17, and passed 42-7, before moving to the House Rules Committee last evening. Again, we are unsure whether the House and Senate may return for further votes this fall. Two important parts for tavern owners include an improvement in the percentage of net revenue allowed to be kept by tavern owners and a change in tax structure. Regarding net revenue, currently tavern owners can keep 35 percent of net revenue. HB 864 was amended to allow tavern owners to keep 45 percent. Regarding taxes, the current imposed tax of 60 percent of net revenue from tavern games sold by a licensed distributor to a licensee would be changed to 51 percent. In addition, sales tax may only be charged on the licensed distributor’s fee on the cost of tickets. Tavern games in the amendment were defined as pull-tabs, tavern daily drawings, 50/50 drawings, e-tabs, pools, and tavern raffles. What’s next for these bills? Both bills currently sit in the House Rules Committee. October 17 was the last voting day of the session on the calendar for both chambers. At this point, it would be up to the House and Senate to come back to finish these bills and dozens of others that fell short of final passage last night. At the moment, there are plenty of rumors floating around the halls of the capitol. While the bills could be dead, there is a slim possibility that they are not. The Pennsylvania Licensed Beverage and Tavern Association will continue to monitor this, and encourage the House to return after the elections to finalize HB 864 as it is written today. We will also continue to monitor HB 1497 to ensure no one receives a tax advantage over taverns. In either event, we were successful in re-engaging on the hill and setting the stage for future efforts to level the playing field for all licensees. So that we do not cause confusion, if HB 864 is finalized by the House before the end of this legislative session, the Pennsylvania Licensed Beverage and Tavern Association will provide members with a full analysis to help better understand changes. At this moment, the current laws still exist, and tavern owners should continue to follow existing rules around gaming. What should tavern owners do next? It’s important for Pennsylvania Senators to hear from you with words of thanks. Senators Fontana, Alloway, and Boscola all deserve praise for their efforts on HB 864. So please take a moment and thank them either by phone or email. There were a total of 42 (out of 49) senators who voted to pass HB 864 with the tavern-friendly language. A complete list can be found by clicking here. If you see your senator on that list, thank them as well. As noted above, the Pennsylvania Licensed Beverage and Tavern Association with a new lobbying strategy and new team – as well as a dedicated Board of Directors – was successful in re-engaging on the hill. Our association played a role in stopping one unfriendly amendment, while we helped move another that was friendlier. Our efforts helped set the stage for the future to be on a level playing field. Since September when we hired ERG Partners and started working with John Nikoloff as our chief lobbyist, positive strides are being made. New relationships are being made, while damaged ones are being mended. That’s fair, and will continue into the future. This is indeed an exciting time to belong to the Pennsylvania Licensed Beverage and Tavern Association!